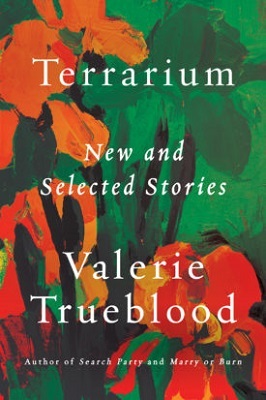 The following is from Valerie Trueblood's collection, Terrarium. Featuring new work and stories from previous collections, Terrarium highlights the achievement of simply living, often unresolved but in a state of expansion. Valerie Trueblood is the author of the novel Seven Loves and the collections Search Party, Marry or Burn, and Criminals. She has been a finalist for the PEN/Faulkner Award and the Frank O'Connor International Short Story Award. Once I had a lover. None of us said boyfriend or girlfriend the way they do now, like children. We claimed our youth as a final stage, beyond it a void. We had lovers. We were bohemians, just a moment before hippies. Just as the war was getting under way. In our studio apartment in a former hotel we played loud music on a saved-for turntable, we cooked on a hot plate, we locked ourselves out and climbed in over the transom—a phrase that now means something else to me—which could be pushed open from the hall in case a guest of the old hotel had locked himself in and slit his wrists. We fought almost every day, we read whole books in a day. Certain short stories had more importance than anything we ourselves or anybody of our acquaintance might say or do. We would not go outside on a Sunday before we had read the book review section from cover to cover. In a famous story, a book critic gets shot in the head. Why is the story so exhilarating, when there is a death and the victim is only a sad, mean-spirited book critic, knowing himself scorned by writers he might have idolized when he was young? If I were to write a truthful review of this book I’m reviewing, I’d have to begin it this way. It is because of my lover that I read this book at all. It isn’t a book I would pick up off the tables so crowded with tempting designs. A deli of paperbacks, with a tempting smell, fresh as rolled-out pasta. Nestled among the piles was this book. I saw a name I knew: a writer about whom I had information of my own, from of old. Once long ago he had lived in the old hotel, across the hall from the studio where we lived. At that time he was a drunk. The writer of this book, not my lover. He would fall down on the unraveling hallway carpet after failing to get his door unlocked. My lover was always hearing the thuds and going out into the hall to help him up and into his own apartment. Once he even went in over the transom himself, when the guy had no key, and opened the door for him and lugged him in. There was a buried kindness in my lover, surfacing only for those who did not expect or hope for it. I knew the writer to say hello to, when he was sober. We were all in our twenties. In fact we were all writers; every bartender, every bank guard by day, every waitress had something in the typewriter, notching up on the carriage return or frozen there. I laughed more than I cried, and although I was beginning to cry in secret because of things that went on with my lover, in a small circle I had a reputation for cheerfulness. Something told me that I could play with life and it would play back, more or less like a tennis partner. 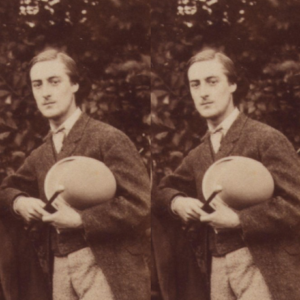 I would not have phrased it that way; I went miles to avoid a sports cliché, writing for the newspaper in a high-minded way I did not see as old-fashioned and hoped would catch the attention of those above me, mostly men who would eventually settle me in the Style section and finally get rid of me. Away from my typewriter I was engrossed in my relationship with life, and took pleasure in speaking cynically of it as I sat around drinking with men from the paper. In the high booths, in the semi-dark, smoking my Salems while music pulsed out of the grilles of jukeboxes already becoming items of décor, I sat offering life insults without end, when it was a golden fruit in my hand, hard and sweet as gold and sweet and succulent as fruit: it was my youth. “Would you like to sample the caramel pecan tart?” I’m in Starbucks, looking out at the filmy rain. For a while the baristas brought around samples and filled out marketing surveys while you were reading. Try this. Try the tipless mug, the game for smart people. In Chicago it did not rain in the steady way it does in Seattle, but rain made an impression there, as it does not here. Oh, on some mornings the trees along Lake Michigan were dripping, and the grass was slippery, and people walked dogs with no thought of where they left their messes, and the war was raging. When the sun came out, thin little boys from the projects, who would live to enlist, were leaping off the rocks into Lake Michigan. It was almost fall, almost the time of the Democratic National Convention. To those of us protesting the foregone nomination of that year, the convention was just one battle of our fight to make the country our own, the fight that would go on logically, with the old giving way to the new as it logically must, and without bloodshed except such blood as we were willing to shed on the streets, because bloodshed was our subject, the thing changing and to be changed by our signs, our shouts. That was the chanted conviction. My lover was not as engaged as I. Not in the struggle and not in our love. It would take me years to know this. The writer of this book has, in his jacket photo, large puzzled eyes, heavy-lidded eyes propped wide with the attempt to communicate a love-hate to whoever is looking at him. Tired but glowing eyes that would do an actress credit. I say actress even though it’s supposed to be actor now. Eyes of the actress: a different thing. As a ship must be she. If I am sitting in Starbucks looking out and a man I often see, a street person, comes and sits down at one of the outside tables to smoke a cigarette, and he has comb-tracked wavy white hair streaked with yellow, and a neat but too-long beard, and I see his not-clean jacket and pants, and the positions of his hands, one jiggling the cigarette while the other, on the wrought-iron table, is engaged in something I could only describe as writhing, if I see this man look around, see him clench his jaw, I will have to face the fact that even if I put every truth I have in me into it, the book review I am trying to write could have no effect on him. It will never come to his notice that the book has a war in the center of it, his own war and that of half the street drunks in Seattle. On Veteran’s Day he will be selling the little red poppies you can pin on. And neither will the book under review, or any book, reach him. None of them will serve a man on a wet chair who does not come in for coffee, or save him from the moment when he carefully refolds his newspaper with its headline, “Local Troops Mobilize for Afghanistan,” and passes his hand over the waves of his hair as he surveys the sidewalk deciding whether to go up it or down it. Because this is the decision to be made. Because it is the body that lives, that has to go somewhere. Once I had a lover. To think of our pride in the word, in our little year, in ourselves when we had done nothing. Years later when wheeling my one-year-old in the park, I saw a tree. I went to stand under it, because it was a replica of the trees by the lake at a particular spot on the lakeshore there in Chicago, in the rain of Chicago. Now it was raining the rain of a different city, but I said to my baby, Look at the tree. Look, look, he said. That was one of his first words, Look! Tree. Beautiful tree. Tree dripping with the tears of a year in his mother’s life. I wheeled him under, and the drops, bigger because the leaves had gathered and spooned them, splashed on his thin-haired head. He liked that, looking up, squinting and laughing. The writer of this book: a boy in Chicago wasted on beer and dope, always alone. Dope we called it, tougher than pot, deeper than weed. He got up late; we heard the typewriter late in the afternoon. Did he go to rehab? Did they have rehab in those days? When we had separately gone away, did he take down the poster of a clenched fist from his door and join the army? How did he finally come, forty years later, to write this book, which doesn’t seem to match up to the blurbs on the back of it? At least I don’t see much gritty or profane, much with an edge. It’s an emotional story, like those big eyes. The war is in it, but it’s a love story. If a woman had written it, they would say it was sentimental. We. We would say that. He was always alone; no one came to see him. Who did he love? Or, for some editors, whom do you love? Look at those eyes. They looked at me once, over my lover’s shoulder, and there was no anger in them, even though my lover was explaining that the janitor wasn’t going to clean up the hall carpet any more when the guy vomited. “You need to do it yourself.” Except I don’t think we used the you need to construction at that time because the movement hadn’t really begun in which we would all point out each other’s responsibilities and confess our own in that solemn, communitarian way. Certainly I thought he did. Yes, I did, I thought our exhausting quarrels were a prelude to the joy and relief of agreement, the union. Just as I thought the war would be brought to an end and a lesson learned. That boy lying in vomit has written a book I am reading—propped open on the little round Starbucks table—at the same time as I am writing this review of it. People wouldn’t want to know how often reviewers do this. I’m writing it not for him, the young writer on the floor or the gray-haired writer on the back of the book, or for the veteran who walked away, or for any reader of any book, but for one person, the other boy, the one who was kind in the hallway, but not to me. For you, lost one, for you. From Terrarium. Used with permission of Counterpoint Press. Copyright © 2018 by Valerie Trueblood.